Animated Whiteboard Videos – Why Are They White Hot? It’s almost a surreal experience, the captivation, intrigue and suspense that is the nature of these whiteboard videos. And, no surprise, these explainer videos (as they are also called) are now such a hot trend on the internet you’re likely to see them cropping up in more places for a variety of uses. I’ve even seen them on the big screen featured in commercials before the movie I went to see begins to play. The production costs for those are very expensive because all the art work is original and custom designed. This, however, does not mean that you cannot use this production style and still hold the costs down by employing images already drawn. Ever since the dawn of man, humans have been drawn to motion. Like cats watching mice or birds, the programmed so deeply within our brain, the instinct will never dissipate. Animation videos take advantage of this instinct by literally almost grabbing hold of the viewer’s attention when the hand with the marker appears on screen. That element goes double for the animated person that begins to speak or the drawing comes alive like a cartoon character and begins a conversation with you by asking you questions that you find yourself mentally responding too! Getting that mix, just right is what filmmakers know as ‘screen time’. Good screen-time means that while you are watching the hand either draw, write text and or move images on and off screen, you must have a good mix of these actions so that the viewer can listen to what the voice over is saying, it must be paced so that they are able to take it in, then be able to enjoy the sound effects and or music which must be an element that must not interfere with the over all message of the whiteboard or explainer video. The viewer must be given time and space to think and engage, respond or interact to what’s on the screen. If they don’t have this, they’ll either exit by clicking out of the video or continue watching having dropped a ball or two which will mean that the sales tools failed to yield a ‘buy’. In other words, the rhythm and space you’ve allocated in the video does not easily engage and sustain that to the satisfying end. The juggling required to comprehend and act on the video sales tool will be almost exclusively set on that simple rule – ‘screen time’. The basic features of these types of quick draw or explainer videos, are an entertaining message that engages the intellect and emotions into a marriage of convenience so that the final delivery is satisfying. That’s what makes a sale. Cartoons date back to a century ago. They were a form of entertainment that is still used today, and are acknowledged, accepted and recognized by every segment of the population. SEO savvy videos take cartoon technology to a new level by utilizing them for various purposes such as explaining a product or service, marketing it, or certain company or product training and development. And even better, research shows that this new whiteboard technology grabs the viewer’s attention quickly, maintains it, prompts the viewer to take action, and perhaps best of all, keeps the video’s message implanted in their mind. 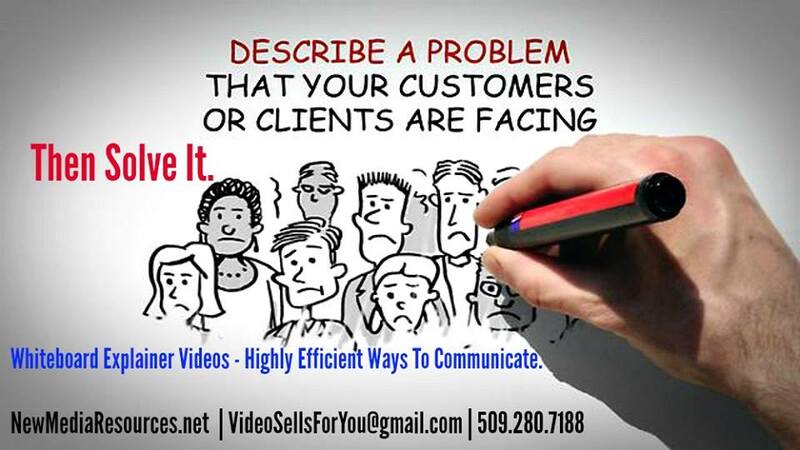 These explainer videos or whiteboard video production works because, in general, people are tired of static images and boring old ad copy. They want to be entertained, they want to be wowed, they want to feel like a kid again by watching the hand create charming bubble letters and people out of what seems like thin air. Plus, these videos uniquely and ingenuously use the two earliest forms of communication: hand drawn imagery and the human voice. It’s the oldest and the simplest way to narrate a story. Everyone loves to hear a story. That alone is worth thinking about; tell your story. Consumers have confessed many times to doing business with the person who’s story they know even if their competitor offered the same product or service for less money. This is something to really pay attention to. Although, you might see an arm and a leg compellingly drawn, the cost to produce a whiteboard animation is remarkably much lower than virtually any other type of video. 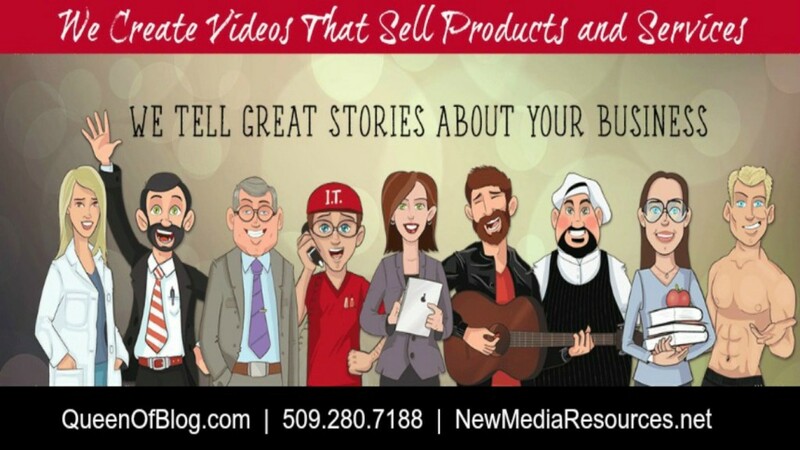 Whether you’re interested in marketing videos, training videos, videos used as vlogs (video used as blogging), webinars, sales video, and others, whiteboard animation videos cost very little, especially when compared to the enormous impact they have on the audience. Production costs are minimal if you use existing archive content of both still images and traditional video footage as well as line drawings that can be traced into the video production by the quick draw or video scribing software. Having to hire an artist, someone with the artistic skills to draw original artwork is, for the most part, cost prohibitive. Unless the video scribe is a production that can effectively be used over and over to market and advertise the company, I usually discourage this type of video production. When you consider that these days, a video once viewed is usually ‘dumped’. Once viewed, there’s usually no reason to view it again. Now if the company can take that same video scribe or explainer video and send it out to fetch in new prospects then spending a lot to create is possibly a good call. With the highest conversion ration of any other type of video, these animations are a big bang for their buck! Think about it, no camera is needed ( if you want traditional video footage as part of the narrative, there are stock houses you can buy from) no real actors, just a script (message) but not to minimize this at all, it has to be a well thought out script if it’s to be successfully communicated. And who better to sell your brand than you and the people who best know your business! You can positively, productively and imaginatively create a video that tells your company’s story, conveying it to the viewer in a compelling way while also driving your message, by drawing it into their brain where it will be retained. This, by the way, is why animated neon signs are so easily recalled. They ‘write’ and because we also write, our eyes follow the lines the drawing makes and thus recall easily the form it draws. There are so many learning styles. Invariably, in classrooms throughout the world, children fall behind in their education because they’re not being taught to in the style that relates best to them. Learning styles include visual, interpersonal, logical, physical, auditory, verbal, and interpersonal. Most people fall into these three categories: Visual, Auditory, and Physical. 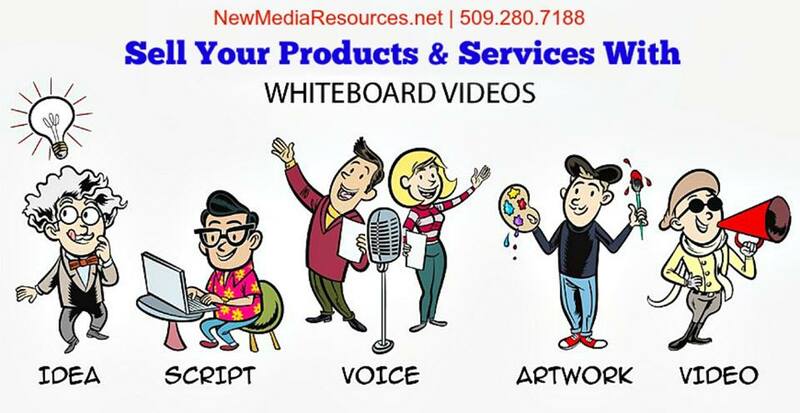 The beauty of the whiteboard animation video is that it incorporates these three learning styles flawlessly; ensuring that the message will reach a wider audience and the retention of the message will be high. Think of the lyrics you cannot forget because you memorized it with music, then add to it a visual image and viola, you have a type of explainer or whiteboard video. Powerful sales tool and it’s not to be ignored if you want to be competitive. 1. Know your keywords! This, of course, is the basis for any SEO advertising & marketing campaign. 2. Add those precious keywords to your video via the file name, video title, video description and tags. Remember, (this is crucial) the search engines don’t know what to do with video. They can’t “see” it and it really does nothing for search engines or the arsenal of bots ( electronic reading devices) that are sent out to fetch whatever was typed into the search bar. 3. If you’re uploading your video to YouTube, make sure to use keywords in your video’s content. For accessibility services, YouTube always creates a text based version of videos that are uploaded. This way, your keywords will be “seen” by Google, Yahoo, Bing, etc. You can also ‘beef’ up these scripts by adding additional keyword rich text but stay well within what is actually spoken within the video. Then publish the video with these scripts. Tons of SEO value can be gained just by doing that. 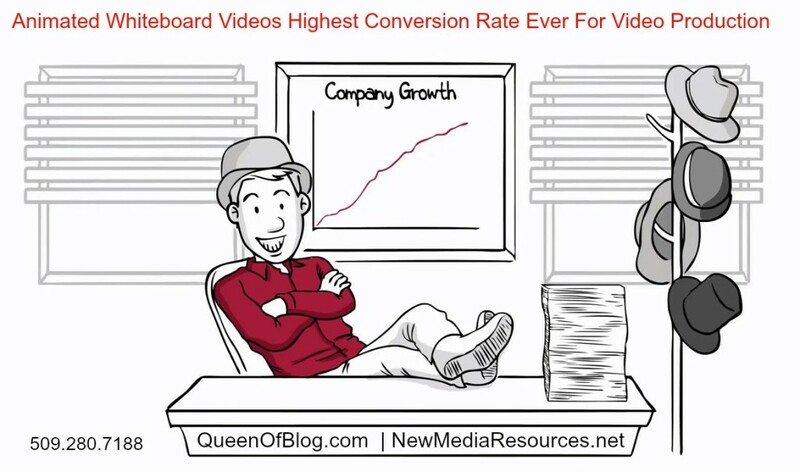 Whiteboard animation videos are white hot because people can’t seem to get enough of them. They’re captivating, charming and appeal to everyone’s child-like sense of wonder. Don’t be left behind, they’re also inexpensive and are well worth while for use in any marketing and advertising campaign. It is now well known that to have one on the home page of your website or available within your social media will do much to convert the viewer to the customer. This entry was posted in Blog and tagged advertising & marketing videos, advertising video, animated video, explainer video, quick draw video, seo savvy video, seo video, whiteboard video by Petrushka. Bookmark the permalink.